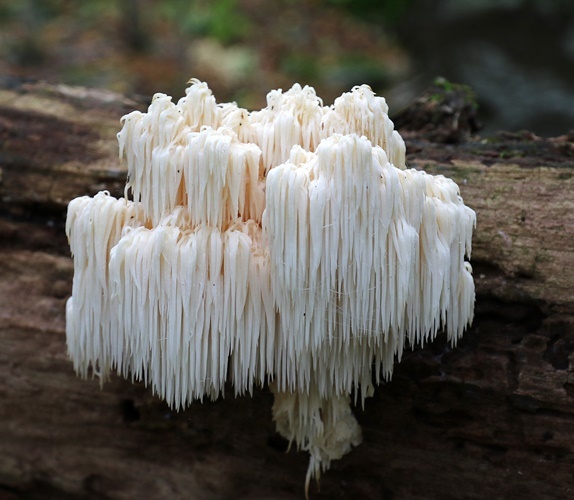 fruiting body is 10-30cm broad, white, turning yellowish with age. fungus branches from a thick stipe that is attached to the wood. branch-tips bear many long, white spines hanging downward. appears in late summer and fall. grows on hardwood and conifer logs. has a nutty taste and mild odor; cook before eating.